Tella-atella, the by-product of tella production, is a kind of brewers grains that has a high moisture content, and relatively high protein content but lower fibre content than most brewers grains. Atella is a variable by-product whose composition and nutritional value depend on the grain used and on the process (temperature, fermentation time, etc.). Katikala-atella, the by-product of katikala production, is close to distillers grains (K4Health, 2011). It has been less studied than tella-atella. Atella can be a valuable feedstuff for livestock and its use in animal feeding could alleviate the environmental issues due to the disposal of atella in the vicinity of tella production sites (Solomon Demeke, 2007). Atella is produced year-round in Ethiopia in large amounts. It was reported to be more available during the wet season in the North-Western area of Ethiopia. 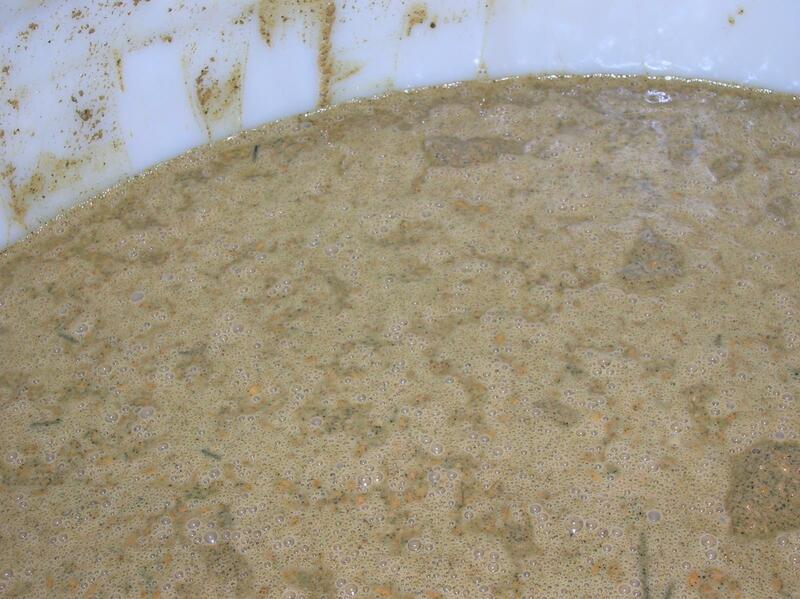 Another by-product of alcoholic fermentation, brinti (a by-product of areki), is more available during the dry season (Asaminew Tassew et al., 2009). Only a small proportion of atella is used as feed, and large quantities accumulate at production sites, causing disposal and public health problems (Solomon Demeke, 2007). Atella is a typically urban by-product that is used in more than 80% of intra-urban dairy farms of Ethiopia (Mekasha et al., 2000). Atella is reported to be more available in the central than in the eastern zone of Ethiopia (Yayneshet Tesfay et al., 2016). The chemical composition of atella varies according to the ingredients used to make the tella. Atella is generally rich in protein (13-24% DM), the highest crude protein (24%) being obtained from tella made from sorghum grains (Alemayehu Tadesse et al., 2011). In Ethiopia, atella is part of the farmers’ practice aiming at enhancing the energy and/or protein status of diets based on crop residues and low-quality roughages (Mekasha et al., 2003). Atella is mixed with other feeds and fed to livestock. Supplementing low-quality residues with green feed and providing mixtures of oil cakes and wheat bran soaked with water and atella is a common strategy to improve the edibility of crop residues, and the whole nutritional quality of the diet (Yayneshet Tesfay et al., 2016). In Ethiopia, when atella is available during the dry season, it can be used as a major protein source for ruminants (Yenesew Abebe et al., 2013) and can be fed at low cost (Mekasha et al., 2003). Atella is widely used in dairy farms of Ethiopia, in particular in the Addis Ababa area (Mekasha et al., 2000), in Tigray (Alemayehu Tadesse et al., 2016) and in Amhara (Ayenew et al., 2009). Atella is used as a supplementary feed throughout the year (Mekasha et al., 2000). In dairy cows, atella is mostly offered in association with niger cake, which has a higher OM digestibility and protein content, and with wheat bran (Mekasha et al., 2000). Tela-atella can be included at 9-20% in dairy cows diet in association with niger cake, wheat bran and barley straw, resulting in increased milk yield (+114%) (Alemayehu Tadesse et al., 2016). A study conducted in the town of Arsi-Negle, 225 km south of Addis Ababa, showed that 70% of households producing katikala were engaged in cattle fattening and they used the atella produced with crop residues to feed the cattle (Bekele et al., 2005). Atella can be used as a protein supplement in sheep diets during the dry season (Yenesew Abebe et al., 2013). The protein and energy contents of atella are high enough to greatly increase the intake, digestibility, N retention and performance of growing sheep fed diets based on low quality forage (Mekasha et al., 2003; Ajebu Nurfeta, 2010; Ajebu Nurfeta et al., 2014). Supplementing diets with 25-50% (DM) atella ensures that the dietary protein is able to support an acceptable rumen microbial activity, meeting the maintenance protein requirement (Mekasha et al., 2003; Ajebu Nurfeta, 2010; Ajebu Nurfeta et al., 2014). Supplementation of wheat straw with atella resulted in weight gains similar to those observed in sheep supplemented with concentrates (Ajebu Nurfeta, 2010). Supplementation of low protein hay (crude protein 5.5% DM) with atella improved total intake, without affecting the intake of the basal forage, and greatly improved protein and energy intake (Mekasha et al., 2002). However, this result depended on the protein content of the basal forage. With a hay containing 4.1% DM protein, a significant substitution between atella and hay was observed (Ajebu Nurfeta et al., 2014). Atella is often associated with other supplements in sheep diets. Atella, and especially katikala-atella, may be less palatable than other supplements, such as malt sprouts. The heating applied during alcoholic fermentation may make proteins more resistant to rumen degradation and reduce digestibility by the formation (Maillard reactions) of a nutritionally unavailable dark-coloured amino-sugar complex. A 50:50 mixture of katikala-atella and malt sprouts included at 40% dietary level optimized digestibility, growth performance and feed conversion efficiency in sheep (Ajebu Nurfeta et al., 2014). In urban and peri-urban areas, with growing sheep fed on a straw based diet, katikala-atella in combination with poultry litter and coffee pulp, instead of atella alone, improved nitrogen digestibility, nitrogen retention and basal forage intake, without impairing performance. This combination could save concentrate feeds (Ajebu Nurfeta, 2010). Supplementation of atella with niger cake is commonly practiced for sheep fattening (Yenesew Abebe et al., 2013). Sheep supplemented with atella had a higher digestibility of N than those supplemented with faba bean, field pea, and rough pea hulls (Mekasha et al., 2002). The type of the atella (katikala or tella) does not affect intake or N retention in sheep (Mekasha et al., 2002). However, sheep fed on katikala-atella had a higher level of rumen ammonia and volatile fatty acids concomitant with lower microbial N supply and efficiency. 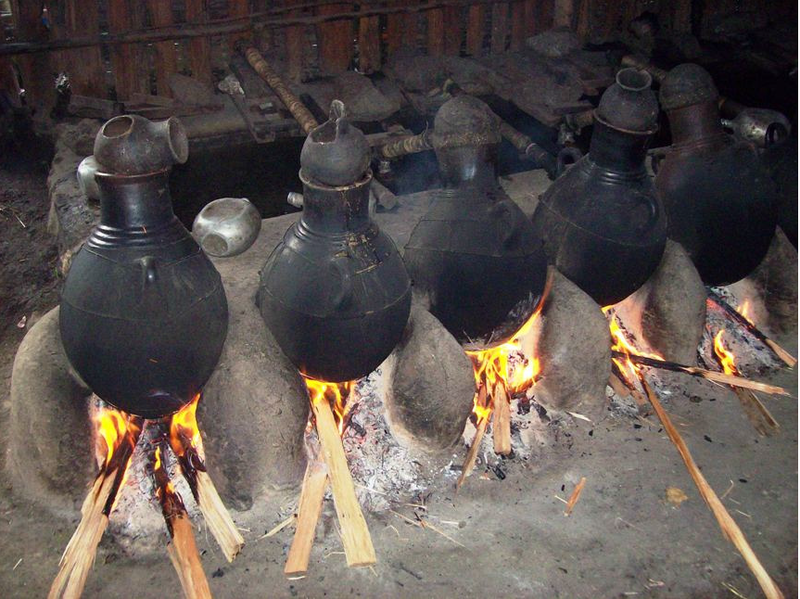 This could be due to the fact that katikala-atella is extensively fermented during brewing, and thus yields less energy during rumen fermentation (Mekasha et al., 2003). Inclusion of atella as the sole source of protein in starter diets significantly lowered feed intake and weight gain. Although the chemical composition of atella is close to that of industrial brewers grains, performance of birds fed atella was much lower than with similar levels of brewers grain (Solomon Demeke, 2007). Atella may be used to reduce the use of cereal grains in laying hens diets. Up to 20% tella-atella (DM basis) could be included in the diets of Lohmann white layers with no or little effect on egg production and egg quality traits. However, increasing the inclusion rate of atella reduced the feed conversion ratio (Abdu Ali Mussa et al., 2016). No information was found (October 2016) on the utilisation of atella in rabbit feeding, probably reflecting the very small amount of rabbit meat produced in this part of East Africa producing tella (Lebas et al., 2000). However atella is a type of local brewer's grains produced in Ethiopia from different cereals, and consequently, as brewer's grains in general, it could be used as protein and fibre source to feed rabbits, either fresh or after drying. Experience of feeding atella to ruminants and poultry in Ethiopia has indicated that there are no specific toxicity problems with it (Yayneshet Tesfay et al., 2016; Ajebu Nurfeta, 2010; Solomon Demeke, 2007). As a by-product of local village beer production from sorghum, atella can be very deficient in lysine (about 50% of requirements). This must be underlined for a use of atella as the main source of protein in rabbit feeding (Ndams et al., 2016).